YONGSAN, South Korea -- July 27 marks the 64th anniversary of the end of the Korean War, known as Armistice Day. What is significant about this armistice is that it did not the end the three-year Korean War that left an entire nation in ruins and millions dead -- including thousands of foreign service members. The armistice was an agreement signed in 1953 simply to stop fighting. The North Korean Army, also known as the Korean People's Army, crossed the 38th parallel at 4 a.m., Sunday, June 25, 1950. The Republic of Korea Army was unprepared and caught off guard, underequipped with troop strength and ally support. Joseph Stalin, Premier of the Soviet Union, allowed North Korea to invade the South, provided Chinese political leader, Mao Zedong sent troops to the Korean Peninsula. 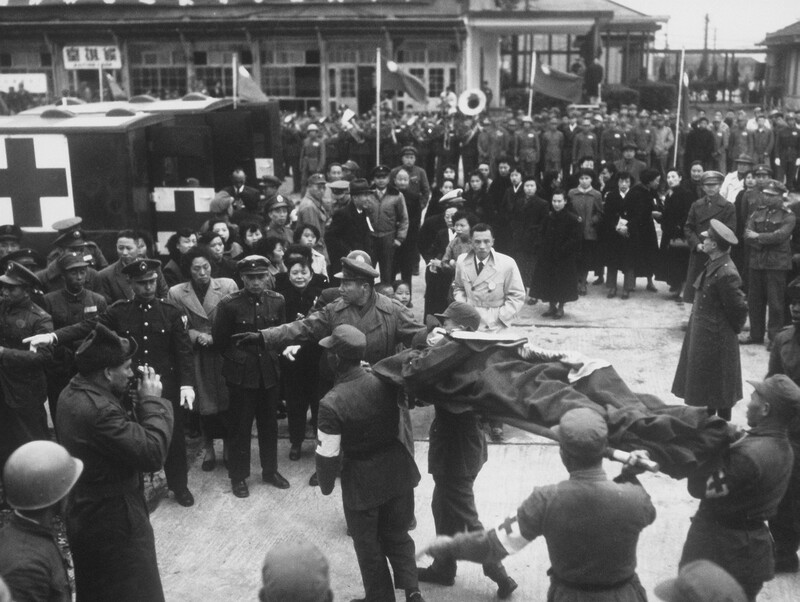 It took the North Korean troops only three days to reach Seoul and capture the capital. 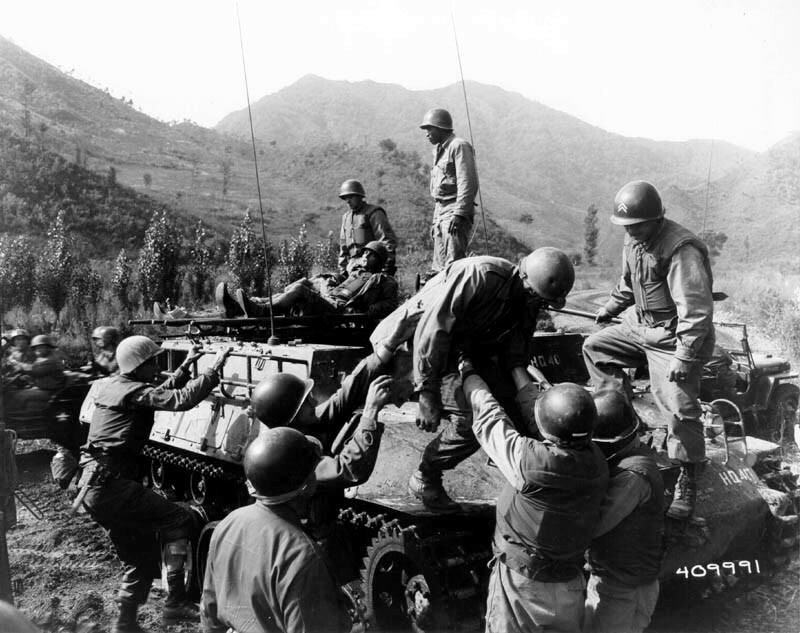 The United Nations Forces and U.S. Army, including the 24th Infantry Division and the Eighth Army, joined Korea July 1950 to help defend the nation but were forced to retreat behind the Busan Perimeter, which covered only the most southeastern part of the peninsula. It was Commander-in-Chief of the United Nations Command, Gen. Douglas MacArthur, whose decision that would turn the table completely. He ordered troops to land at Incheon Sept. 15, 1950, which led to the recapturing of Seoul. The ROKA and United Nations Command were then able to advance to the very north of the Korean Peninsula. 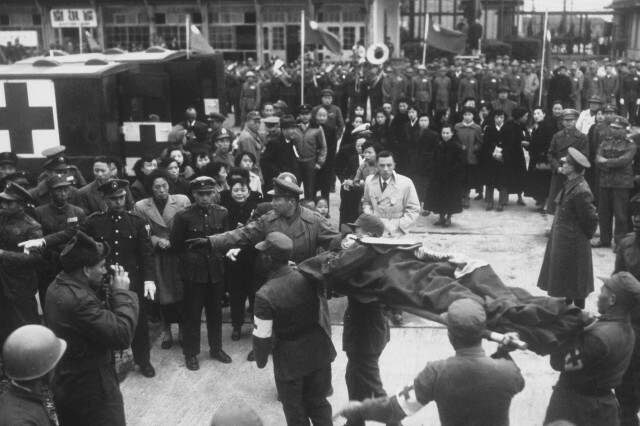 The Chinese People's Volunteers Army, however, intervened in the war to support North Korea. PVA easily outnumbered and seriously threatened the UNC Forces, pushing the ROKA and UNC to below the 38th parallel. In January 1951, Seoul again changed hands as the north retook the city but was unable to advance much farther due to a lack of supplies. The UNC and ROKA counterattacked and regained Seoul yet again in March 1951, but could not advance farther north. The forces were locked in a stalemate around the 38th parallel. Small battles flared in the last two years of the Korean War, but nothing changed the stalemate. The PVA and UNC faced many causalities and financial constraints, and the United States was experiencing political turmoil as protests called for an end to the war. 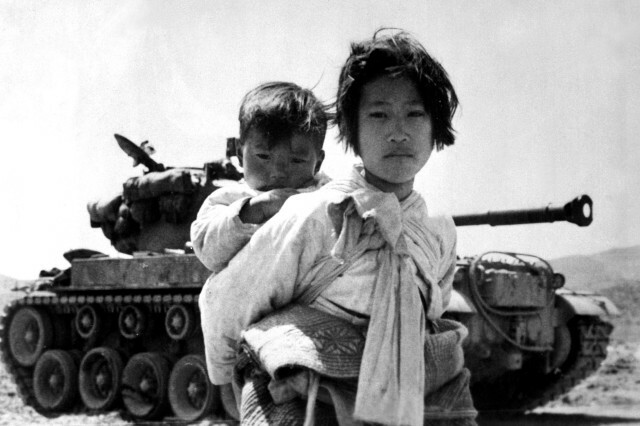 It took three years for the Korean War to come to an end. In December 1950, the U.S. Government started to discuss conditions for ending the War. Even though the many countries involved in the war were growing weary of fighting, Rhee, Syng-Man, President of the ROK, was against the armistice. He believed in a democratic and unified Korean Peninsula. North Korean leader Kim, Il-Sung believed in a unified but communist North Korea. The first armistice talks commenced July 10, 1951, in Kaesong, now a major city in North Korea. Discussion centered on many issues such as the military demarcation line, oversight and releasing POWs. The talks progressed slowly but resulted in agreements on most issues. Negotiations came to a standstill in October 1962, however, when neither side could agree on the issue of POWs. The UNC held 150,000 POWs, and the communists held 100,000 POWs. The UNC insisted that POWs be allowed to go wherever they wanted, but North Korea wanted all of its own POWs. With the death of Stalin in March 1953, armistice talks resumed and eventually resulted in an agreement on the issue of POWs. 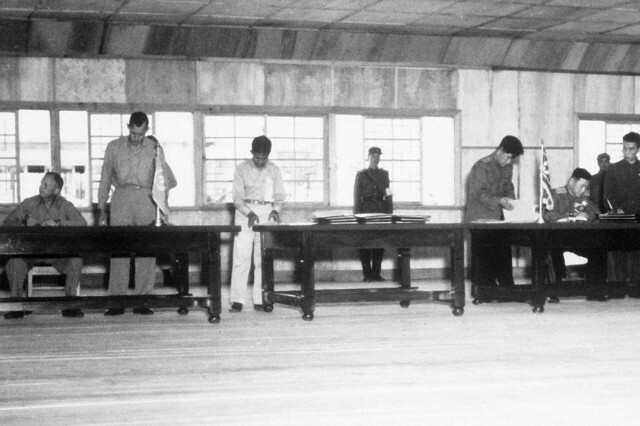 The armistice agreement was signed July 27, 1953, at 10 a.m., by Nam Il, delegate form the KPA and PVA, and William K. Harrison Jr., UNC delegate, at Panmunjeom, where the Joint Security Area is now located, calling for a "complete cessation of all hostilities in Korea by all armed force." The armistice marked a truce to the war after three years, one month and two days of fighting, creating a four-kilometer buffer zone between South and North Korea called the DMZ. More than 2.5 million civilians were killed or wounded during the war. 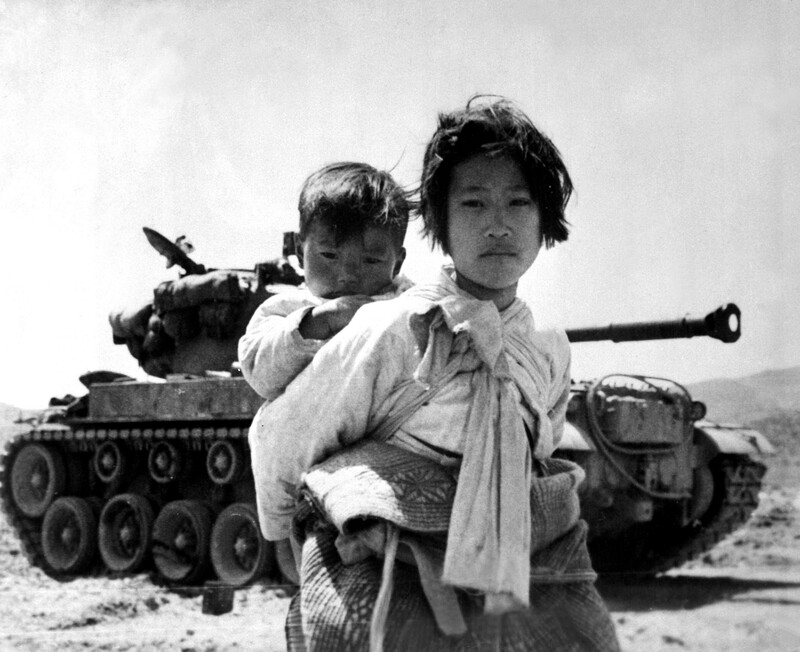 South Korea lost more than 130,000 of its military, while the U.S. lost approximately 35,000. Almost two million North Korean and Chinese soldiers were dead or injured. As of 2005, there were 700,000 South Koreans with relatives in the North. 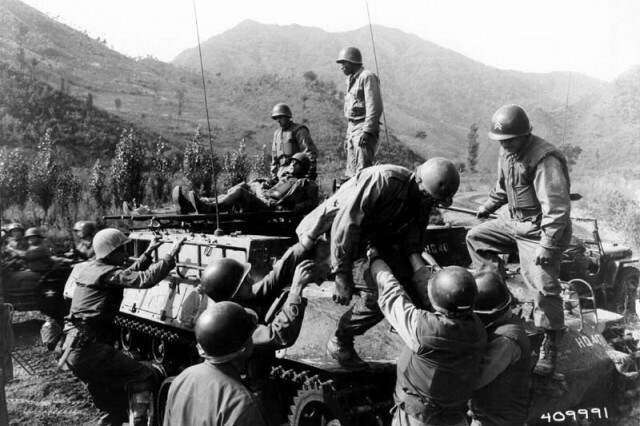 One of the most important results of the war was the creation of the Mutual Defense Treaty between the United States and the Republic of Korea, Oct. 1, 1953. Article IV reads, "The Republic of Korea grants, and the United States of America accepts, the right to dispose United States land, air and sea forces in and about the territory of the Republic of Korea as determined by mutual agreement," validating the presence of United States Forces in Korea. Today the alliance is the power that defends the ROK from the North Korea.